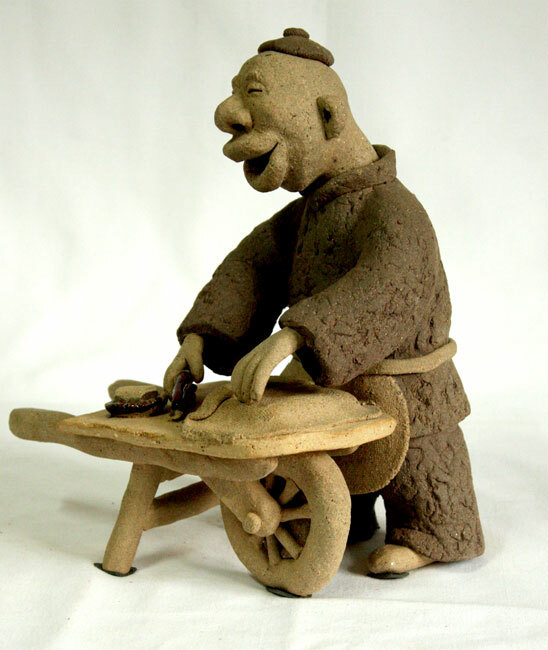 This is part of the Old-time Beijing Street Vendors series, the Sticky Rice Cake Seller. 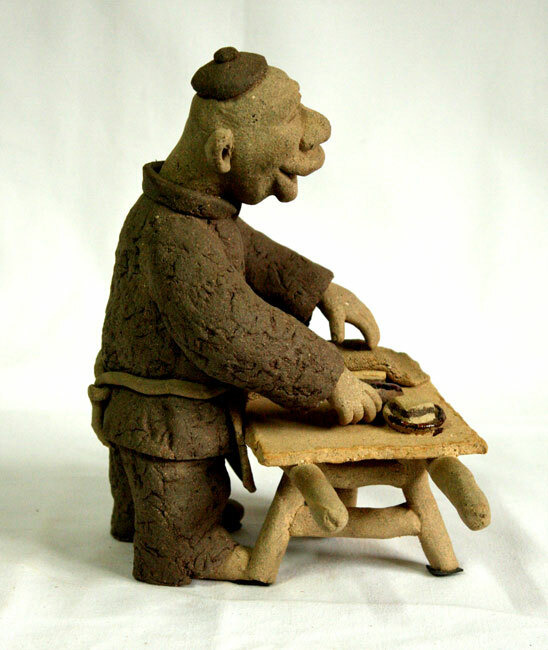 Sticky rice cakes were a popular snack for Beijing natives. They were made in layers of various flavors of sticky rice, sugar and sesame seed butter, paste of dates, lotus and peanuts. The vendor pre-makes the cakes at home then brings them out on a push cart and sells them on the street. He is cutting off a portion of the cake and calling out to attract customers. The rustic feel combined with a touch of glaze gives the piece an interesting contrast.